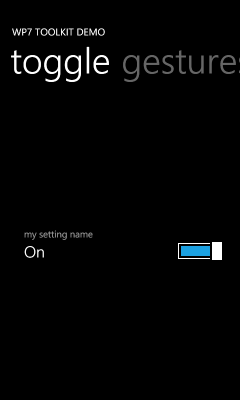 after adding a reference to the Microsoft.Phone.Controls.Toolkit assembly. There is an option to disable ‘zoom’ of the context menu, which follows the UI consistency of the device itself and is the default. Additionally you could implement the actual command using ICommand on the particular item. 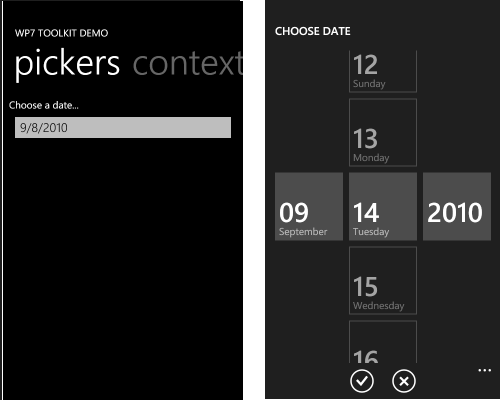 While shown above is the DatePicker, the TimePicker operates in similar fashion. 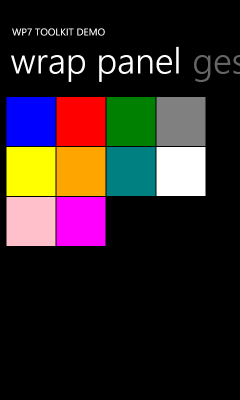 Once you have the PNG files there, be sure to mark them as Content so they are included correctly and then you should be good! 1: <Image x:Name="GesturedImage" Source="dividbyzero.jpg" HorizontalAlignment="Center" VerticalAlignment="Center" Width="450"
Very helpful library!! NOTE: the above sample is actually not goot ‘pinch’ scaling for an image, but merely here to demonstrate a quick point. This will be helpful especially in areas of displaying items in storage locations (i.e., pictures, album art) I think. These controls are being made available for you to freely consume in your applications. 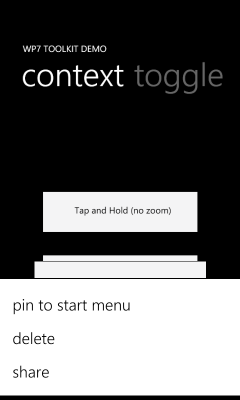 Go to the Silverlight Toolkit site right now and download the Silverlight for Windows Phone Toolkit and begin incorporating them into your applications today. Be sure to leave feedback on the Codeplex site with any issues you may find with your scenarios. Be sure to visit the Silverlight Toolkit site for the bits and also ensure you subscribe to Jeff Wilcox and David Anson’s blogs for what likely will follow more detailed and useful information about the toolkit items!